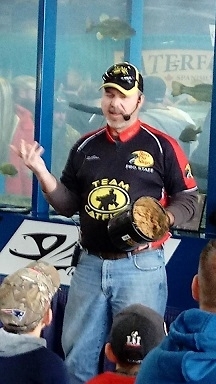 Rod Bates is owner of Koinonia Guide Service, a multi species guide service. They guide on the main stem Susquehanna, Juniata and West Branch Rivers and local lakes in central Pennsylvania smallmouth bass, muskies, largemouth bass, channel catfish, flathead catfish, panfish and walleyes. These 2 3/4 inch tubes are designed by river anglers for river smallmouth.